The Bravo 1.5 is a longer bladed version of the classic Bushcraft and Survival knife, the Bravo-1, it has all the same qualitys, full tang, solid slabs and pins, the superb Bravo handle and that time tested drop point Bravo blade. The LT model has a slimmed down stock, giving trememdous bite, reduced weight, but keeps the excellent balance and great strength of the knife. The CPM 3V steel is a fine powder steel, offering great strength, cutting power and edge holding. 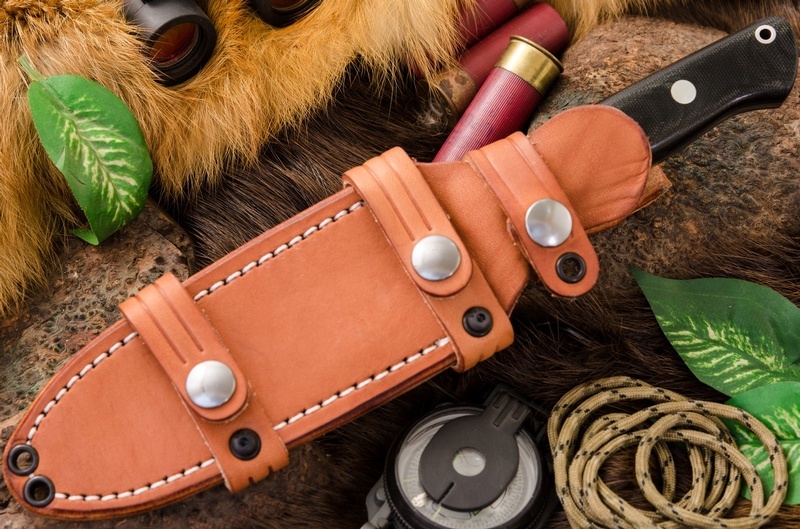 A great Survival, Bushcraft and General Purpose Outdoor Knife. Made in the USA, comes with Quality Leather sheath, see pictures for details. Overall Length: 10.675" Blade Length: 5.8" Blade Height: 1.18" Blade Steel: CPM-3V Blade Hardness: 60HRC Blade Thickness: .156" Weight: 7.15oz. Handle grain may not be exactly as pictured, but is a good representation. Purchase through PayPal by using the "Add To Cart" button above or use the form below to order the Barkriver Bravo 1.5 LT 3V Antique Ivory Micarta . 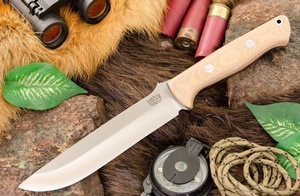 Feel free to contact us if you have any questions about the Barkriver Bravo 1.5 LT 3V Antique Ivory Micarta .